Sell Your House Hassle Free!! We buy Houses as-is for cash and can close on the date of your choice. no matter what situation you're in, we will help you with your property. Do you want to sell your house as-is, quickly and with no hassles? You are in the right place! We buy houses in any condition. We are local investors who will contact you and make you a cash offer for your home. We buy houses quickly so you aren't stuck in a bind. We will make you a fast, fair offer on your house and provide you with a number of options to meet your real estate needs. We have local apartments and houses ready to be rented. Check out our listings and contact us to schedule a showing! We offer a variety of investment opportunities through wholesaling, flipping and buy & holding local real estate. We are the Western Massachusetts premier real estate solutions company. We have been buying, revitalizing and selling properties for over 13 years. We are a full service real estate investment and redevelopment company specializing in residential 1-4 unit investment properties in all urban and suburban neighborhoods. The company's vision is to improve the overall quality of living in urban neighborhoods and to increase the value of real estate in its target markets. We build value by rehabilitating properties in significant need of repairs. We are continually growing by increasing the number of projects in our primary areas of business and by extending our geographic reach into additional housing markets in neighboring counties. Check out our full testimonials page from all of our clients. Some who have rough looking properties to sell will first call a Realtor in hopes to sell it fast and avoid the rehab trouble. The reality is that most Realtors don't really know how to accurately evaluate a property that is in need of major repairs. It is a challenge, even for those in the business, to see the diamonds in the rough. If you want to sell your Springfield area house in the fastest, easiest, and most convenient manner, read this important message. 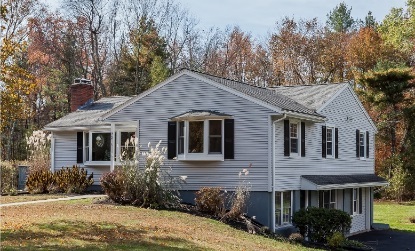 You may discover the perfect solution... because we buy many houses throughout Western MA. Sell My House Fast In Springfield - What Are My Options? 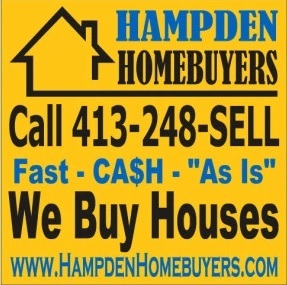 Why Choose Hampden Homebuyers to Sell Your House Fast? SELL it AS-IS the easy way!